So, here’s the thing about the Algarve. It’s by far, the most touristy area of Portugal. It’s because of this, that I’ve been torn about visiting the most southern region of this beautiful country. I’m just not that type of traveler. I hate touristy areas. I hate the cheesy stores that have only things no one would buy, the overpriced and underwhelming restaurants, the suffocating crowds of people with selfie-sticks. Maybe I’ve become somewhat of an anti-social hermit as I get older, but I just can’t stand being around the craziness of it all. Don’t get me wrong, I love cities with lots of action, I just don’t like the mega tour group mass gatherings. It just fu*#s up the flow of things. 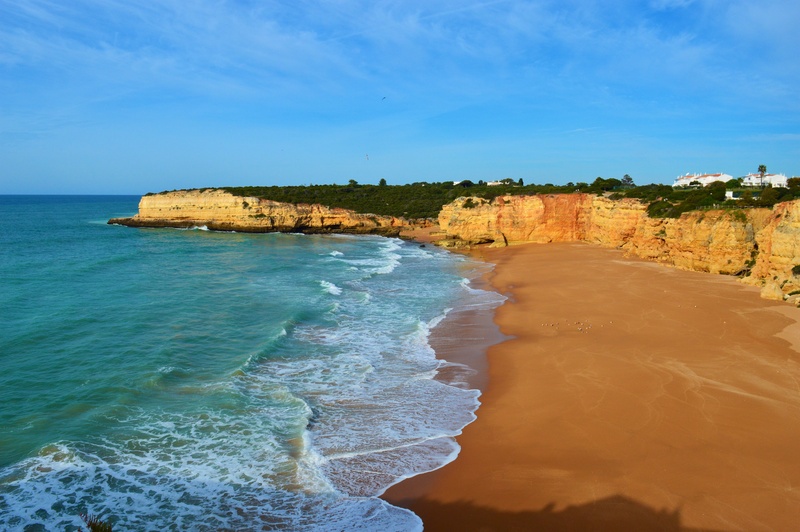 I’ve always heard that Algarve is like that, and that’s made me quite hesitant to go down to there, but the allure of the sheer beauty of the region kept me interested. Whatever you’ve read in your books, blogs, or seen in videos about the Algarve, there’s a good chance it’s exactly that. It’s exactly what I expected it would be like. Lucky enough for us, Susete and I were down there in spring, just outside of normal tourist season, so we managed to escape most of the crowds. That being said, there are still certain areas that we wouldn’t want to go back to again. 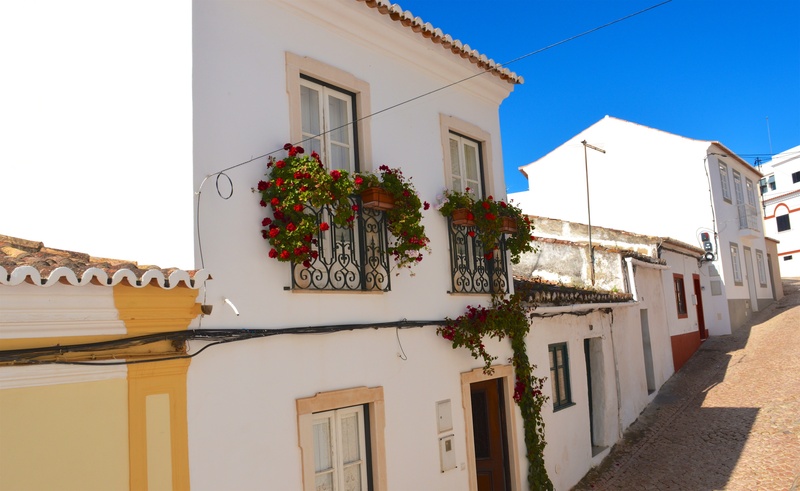 Albufeira, Quarteira, Carvoeiro… SUPER CHEESEBALL TOURISTY. It’s like these towns were pretty much only built to serve as tourist playgrounds. Everything just seems fake, with absolutely no hint of local culture. The central Algarve region is by far the worst for this. 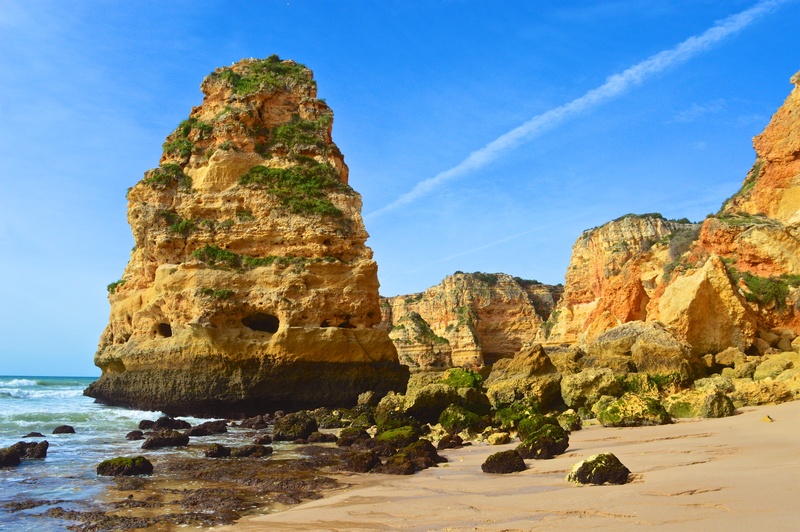 However, if you can stay away from all that mess, then the Algarve can also be a treasure trove of beauty and amazing things to experience. The region that covers the entire south end of Portugal is pretty much divided into three parts- West, Central, and East- all with their own character. 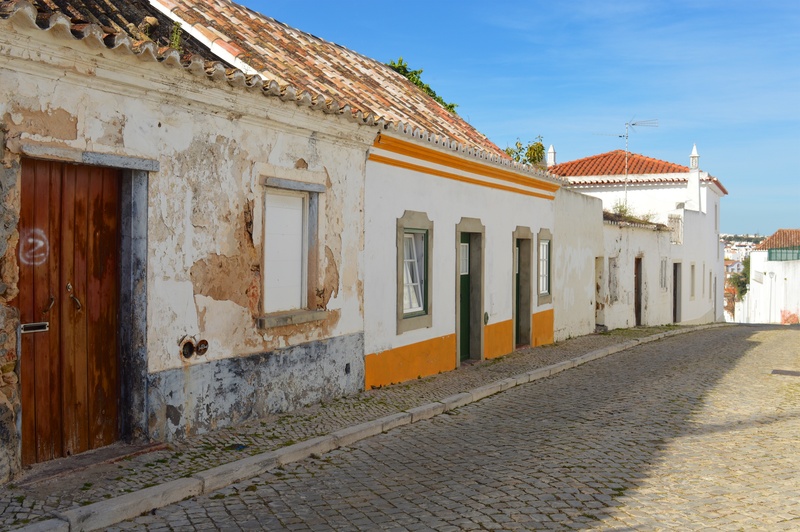 The Eastern Algarve is a lot more sleepy, more “Portuguese”, and overall quieter. 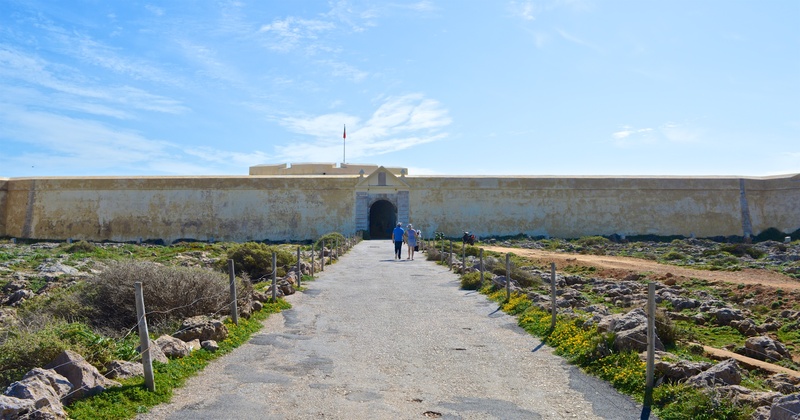 It’s long and flat, and has some good history and culture. Faro is the modern capital of the Algarve, and has the only major airport in the region, so many people start there. 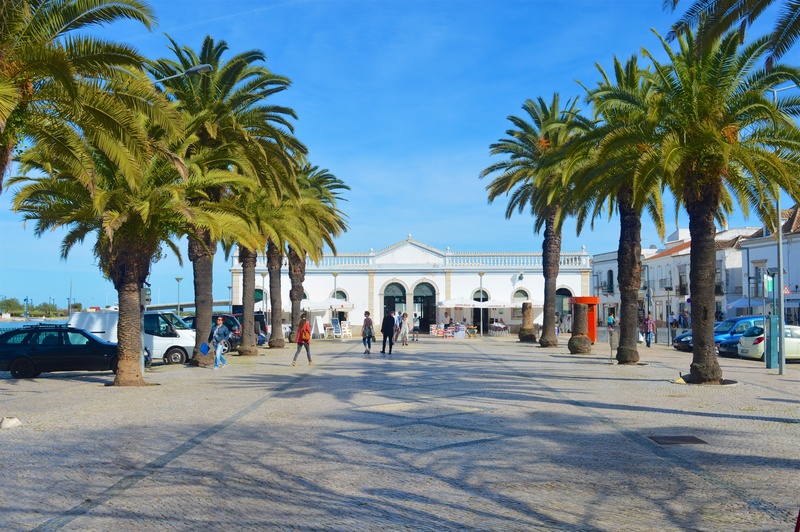 Faro and Tavira are both just in-land off the coast, so they don’t have direct beach access, but their beaches can be reached just 5 minutes away and are long, expansive stretches. 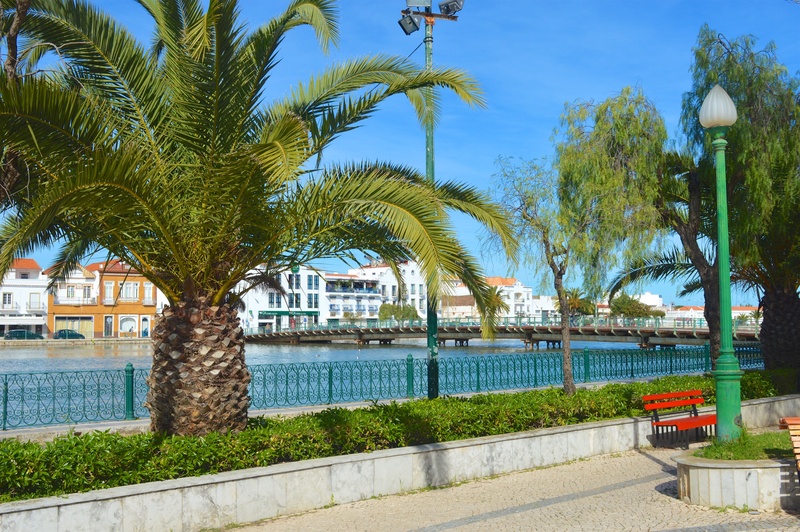 Tavira is the most eastern of the major towns. It runs along a river and has the a good balance of local charm and tourist attractions (castle, market, river walk area, restaurants and cafés). 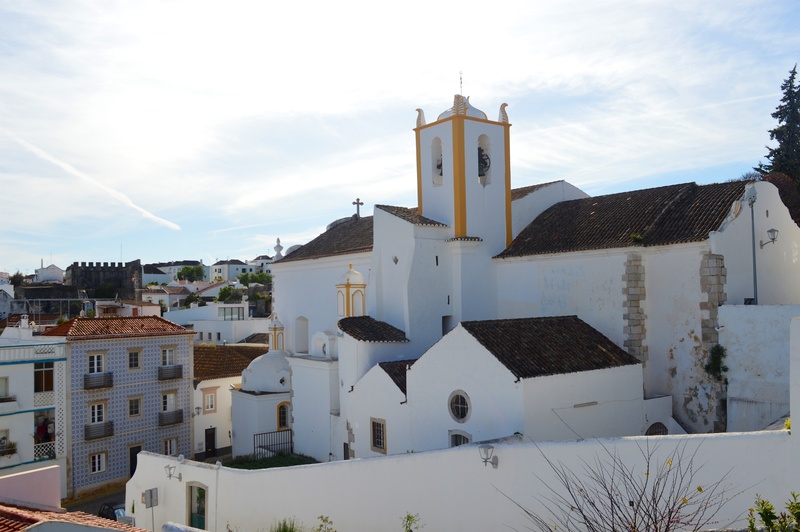 Tavira’s cathedral, overlooking the city. The Central Algarve is, as I said, the most touristy. The beaches are absolutely stunning, which is probably why this has become the most popular area. The red and amber cliffs and rocks frame most of the praias (beaches) in the central area, and this stretch is made up of several little cove beaches, with some larger ones mixed in. This makes for some truly tear-inducing scenery. Seriously, I may have started to cry a little just from being there. Even though being the most populated area, the good thing is that with so many small cove beaches, you’re bound to find one that’s very secluded and makes you feel like you have your own private beach. You can find millions of photographs on the internet of the famous central Algarve beaches, but let me tell you… NOTHING even comes close to the feeling you get when you’re right there taking it all in with your own eyes, along with your other senses… the smells of fresh ocean air, the sound of the waves crashing, and the sight of those deep orange rocks, bright green grasses, and eye-popping pink and yellow flowers forming a contrast of colours that is just so relaxing. 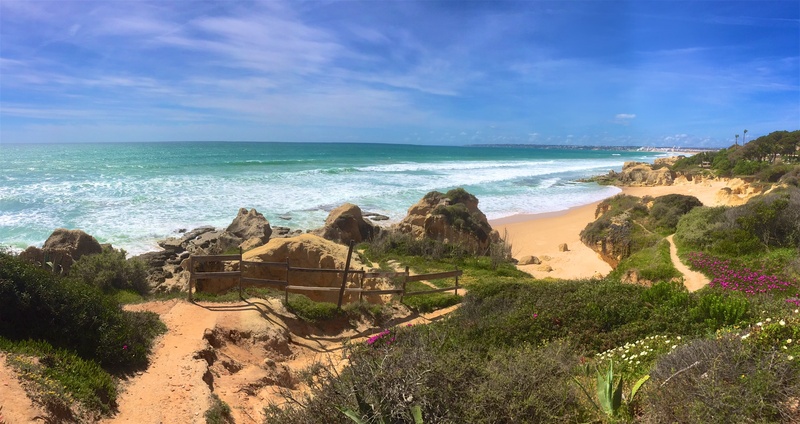 If you’re headed to this section of the Algarve, stay away from Albufeira and head just slightly west of it to Galé, where it’s much quieter and you can walk a trail above and along a string of tiny little beaches with coves and rocks that will just take your breathe away. 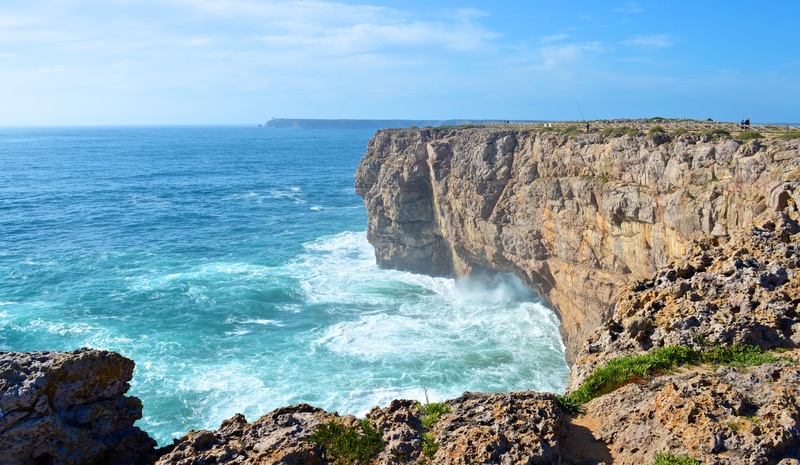 Oh, and make sure you head to Praia da Marinha. I’d argue it’s one of the most beautiful beaches in the entire world. No exaggeration. The Western Algarve can best be described as the Wild West. It’s much more rugged, with somewhat harsh, but enchanting landscapes, vast ocean views, high cliffs, thunderous crashing waves. The west is a surfers haven, and it’s noticeably different than the rest of the Algarve. Lagos, the largest city in the west does have its splashes of touristic cheesiness here and there, but is overall a very pretty town, and has tons of history behind it (which I’ll go into on another blog). 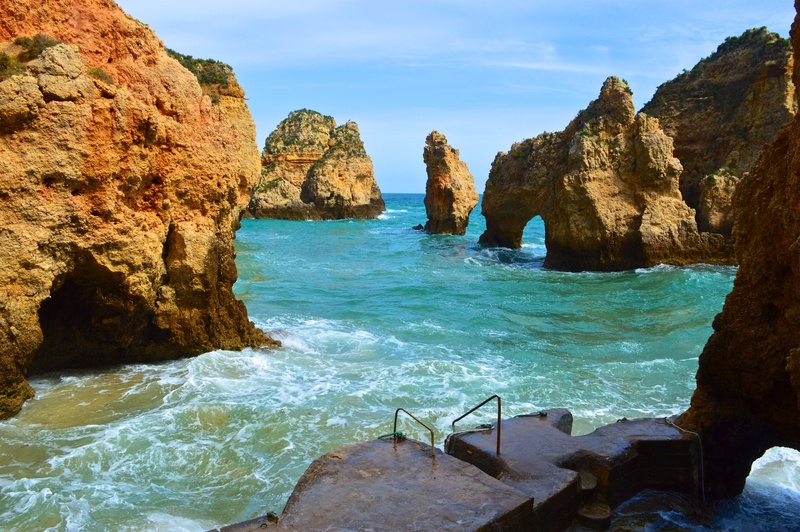 Also, just on the outskirts of Lagos are Praia Dona Ana, and Ponte de Piedade… you might feel like you’re a pirate… awesome. 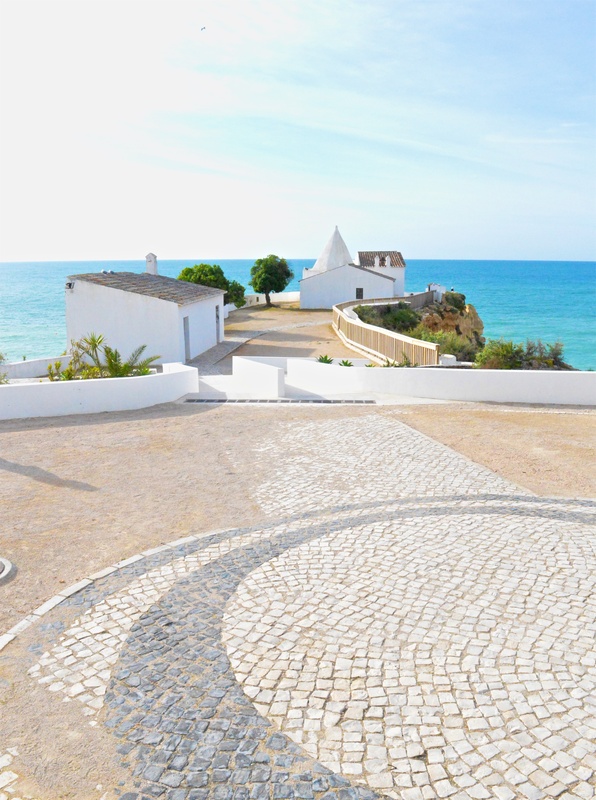 The western Algarve is where the Mediterranean meets the Atlantic. 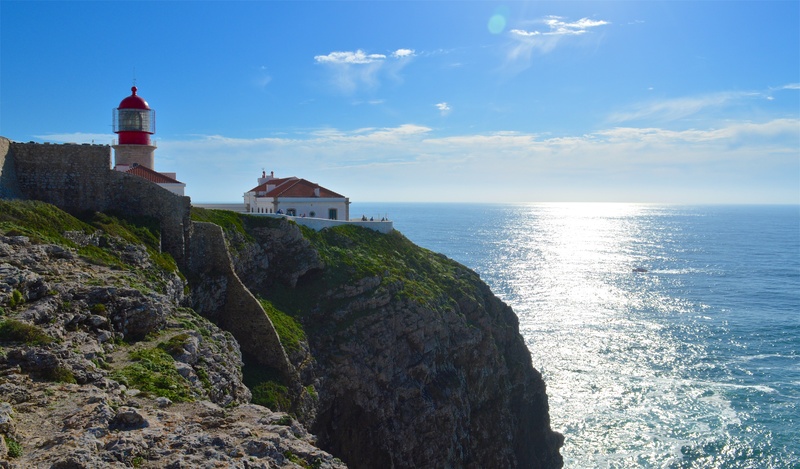 It’s home to Cabo do São Vincente, the most southern point of continental Europe, and where the old explorers looked outward, wondering what was beyond, and grew the balls to sail out there to find out. Waterfront town square in Lagos. 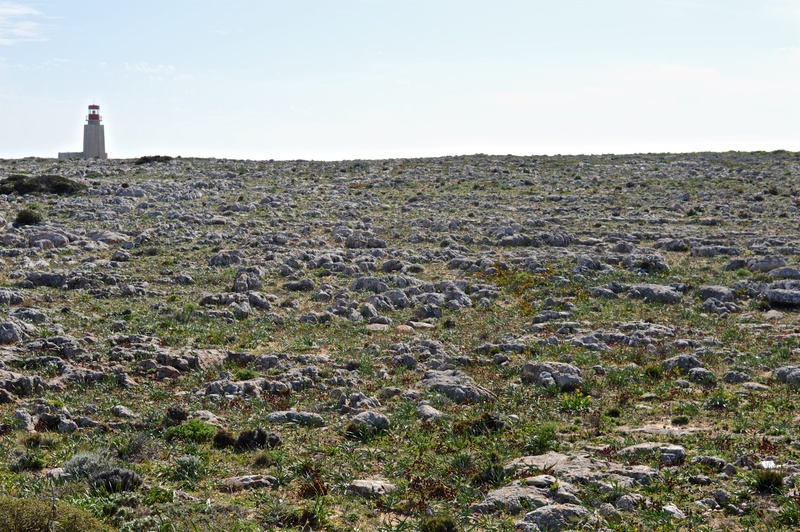 Standing on the moon-like limestone and dolomite cliffs of Sagres and Cabo do São Vincente, looking out west to the vast ocean, I too, couldn’t help but be filled with a sense of wonder and amazement, even though I know exactly what lies beyond (yay, Canada!)…. but it’s just that setting that makes you feel so small compared to the larger world around you. It’s both scary and inspiring at the same time. 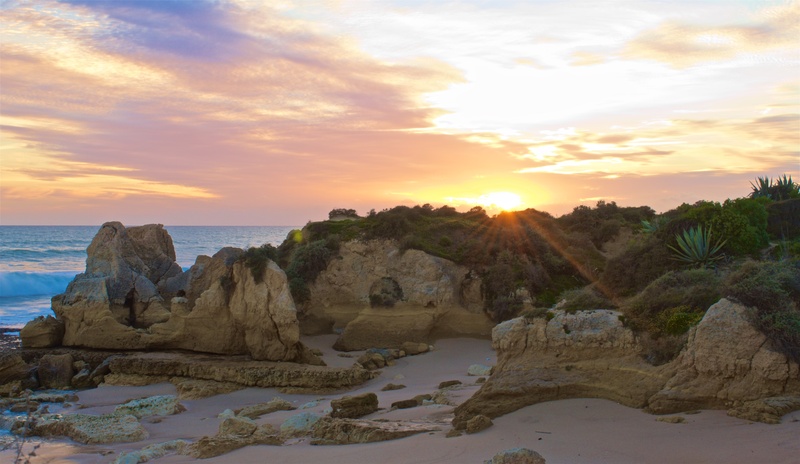 The western Algarve is one of my favourite areas of this southern province. Limestone and Dolemite vast space inside the ground of Prince Henry’s naval academy. Typical landscape of this area. Sagres. The wild western Algarve coast. Sagres. Cabo São Vincente – most southwestern point in continental Europe. 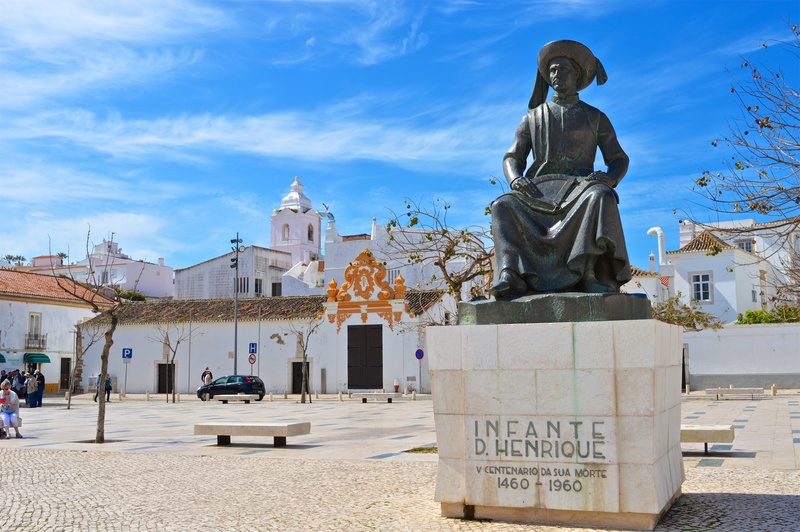 Many people may not realize it, but the Algarve isn’t just all about the coast, it’s got a huge section of inland areas as well… some parts of it reminding me a little of the Chianti region in Tuscany, Italy. Serra de Monchique is the hilly, high mountains of the south, and is known to have a great mountain culture, but unfortunately we didn’t get to visit the are this time around, being short on time. We did however, visit Silves, the once capital of Algarve, way back when the Moors still ruled the region, and Islamic influence can definitely still be seen in the city. The large, red walls of the ruined old Moorish castle are the most noticeable feature as you’re driving in, and makes for a gorgeous view of the city. It’s also really beautiful to visit inside. I’d say that this might have been our favourite town in the Algarve. 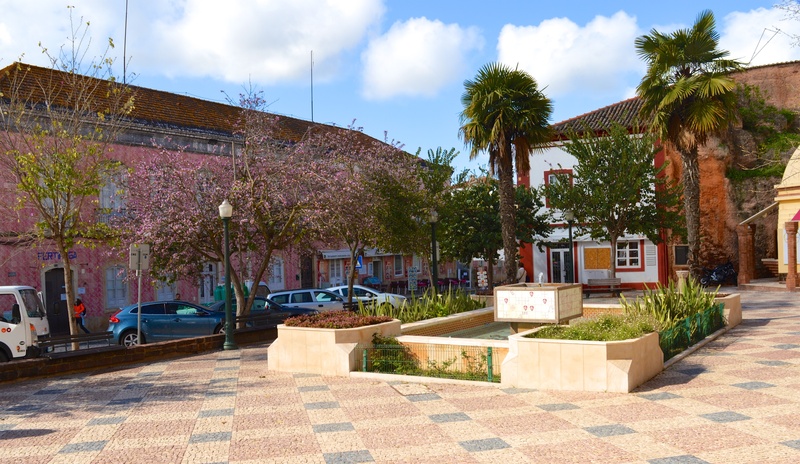 Sure, there’s tourists there, but just as with anywhere off the coast, Silves can be a little bit out of the way for the tourist zombie hoards, and so it remains very authentic, and quite relaxing and enjoyable to explore. Not to mention that a little more inland is where most of the beautiful Algarvian orange groves are! Stay tuned for a special post dedicated to these lovely orange balls of love! Silves, main town square, just outside the old city walls. Overall, in spite of my reservations, I’m so happy that Susete and I got to spend some time in Portugal’s south. The Algarve as a whole, is extremely beautiful, sometimes even overwhelmingly so. The local people are very friendly and enjoyable to talk to. If you can keep away from the most touristy spots and hokey restaurants with menus in seven languages, then I promise you’ll find plenty of outstanding beauty, awe-inspiring landscapes with postcard worthy views, and some really great simple, fresh Portuguese cuisine. If you’re there in the spring, the constant scent of orange blossoms in the air will burn all those images into your memory forever.